anks and other financing institutions should look at non-linear data to better respond to the financing needs of low-income customers. 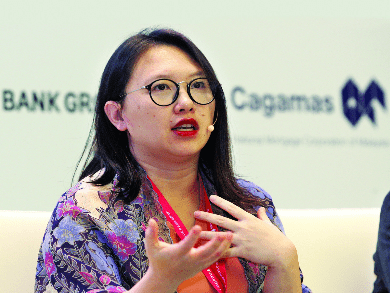 Urbanmetry Sdn Bhd founder/chief executive officer Koh Cha-Ly said access to non-conventional data would better help firms understand consumer consumption habits and the latest market trends. The property market database provider, according to its website, uses big data analytics to extract market trends and patterns for real estate from city data using artificial intelligence and proprietary algorithms. Koh said it is important for banks and other financing institutions to look at mortgage portfolios and risk in a dynamic way, compared with the standard view that would lead to those without means being locked out of financing. “I think as how people assume that the poor won’t pay, please do not assume the rich will pay either. There was no [comprehensive] data before, no risk data or history of payment patterns,” she said.